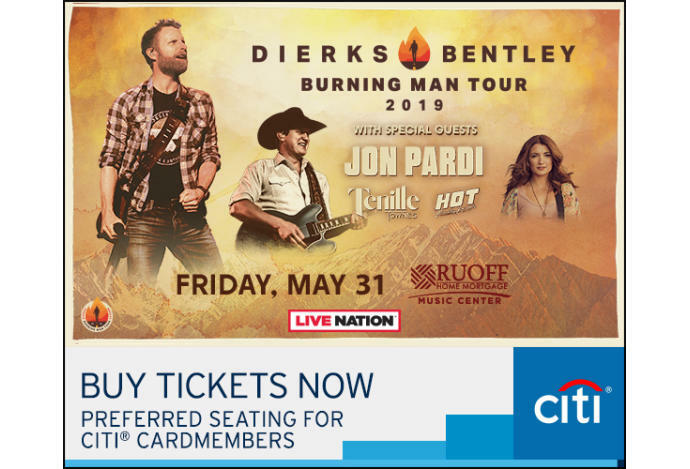 After hosting sold-out crowds across Canada during the launch of his 2019 BURNING MAN TOUR, multi-Platinum singer/songwriter Dierks Bentley is extending the full-throttle run into the summer with 31 additional dates. "The show that delivers" (Country Aircheck) will continue with special guests Jon Pardi, Tenille Townes and the Hot Country Knights. 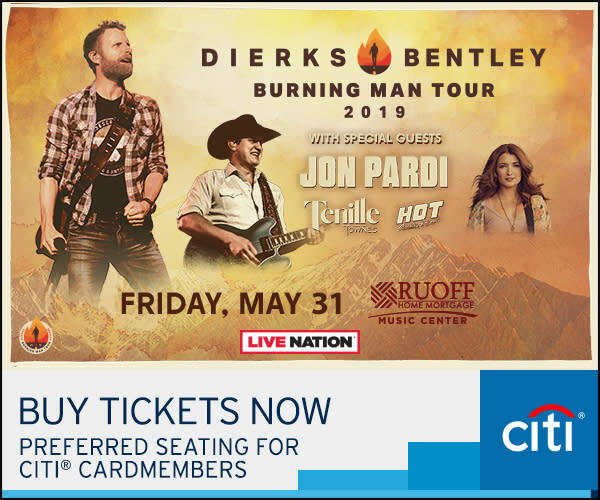 The tour will make a stop at Ruoff Home Mortgage Music Center (nominated for ACM Large Capacity Venue of the Year) located in Noblesville, Indiana on Friday, May 31, 2019.